In a move that may signal good news for real estate professionals, the new schedule of loan limits set by the Federal Housing Administration (FHA) indicates most areas in the country will experience an increase in loan limits in 2019, with the new limits effective for all FHA case numbers assigned on or after January 1. As amended by the Housing and Economic Recovery Act (HERA) of 2008, FHA is required to set single family forward loan limits at 115 percent of median home prices, subject to a set floor and ceiling. Forward mortgage limits are calculated by Metropolitan Statistical Area and county. In high-cost areas of the country, FHA’s loan limit ceiling will increase from $679,650 to $726,525. FHA will also increase its floor from $294,515 to $314,827. Due to robust increases in median housing prices and required changes to FHA’s floor and ceiling limits, which are tied to the Federal Housing Finance Agency’s (FHFA’s) increase in the conventional mortgage limit for 2019, maximum loan limits for FHA forward mortgages will rise in 3,053 counties nationwide, while loan limits will remain unchanged in only 181 counties. By statute, the median home price for a given Metropolitan Statistical Area (MSA) is based on the county within the MSA having the highest median price. It has been HUD’s long-practice to use the highest median price point for any year since HERA’s enactment. 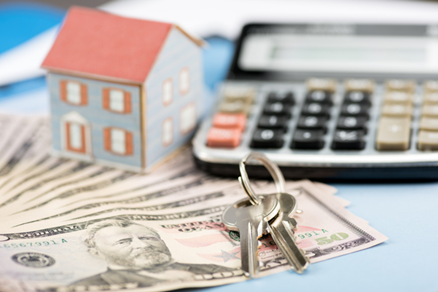 FHA is required by the National Housing Act, as amended by HERA, to establish its floor and ceiling loan limits based on the loan limit set by FHFA for conventional mortgages owned or guaranteed by Fannie Mae and Freddie Mac. FHA’s minimum national loan limit or floor, of $314,827 is set at 65 percent of the national conforming loan limit of $484,350. This floor applies to those areas where 115 percent of the median home price is less than the floor limit. The higher loan limits, coupled with a relatively strong economy and job market, may enable more first-time home buyers, investors, and others to gain the financing and confidence they need to make transactions they may have been delaying.